Is Legal Marijuana’s Biggest Economic Opportunity R&D? NJBIA > NJBIA News & Opinion > Is Legal Marijuana’s Biggest Economic Opportunity R&D? For all of the speculation about the business possibilities of medicinal or recreational marijuana, New Jersey’s biggest economic opportunities from legal cannabis may lie within research and development. At NJBIA’s The Cannabis Economy: Are You Ready seminar today, Assistant Health Commissioner Jeff Brown, who oversees the state’s medicinal marijuana program, said there is no regional powerhouse for marijuana research and development in the United States and indicated New Jersey is in a good position to secure such a distinction. In New Jersey, debate has largely surrounded the medical marijuana market. The number of consumers has nearly tripled in the first year of the Murphy administration, and legislation to expand medical marijuana is on its way to approval. Legalization for recreational use is also expected, but no legislation has been advanced as yet. There seems to be a consensus that the market will be lucrative. 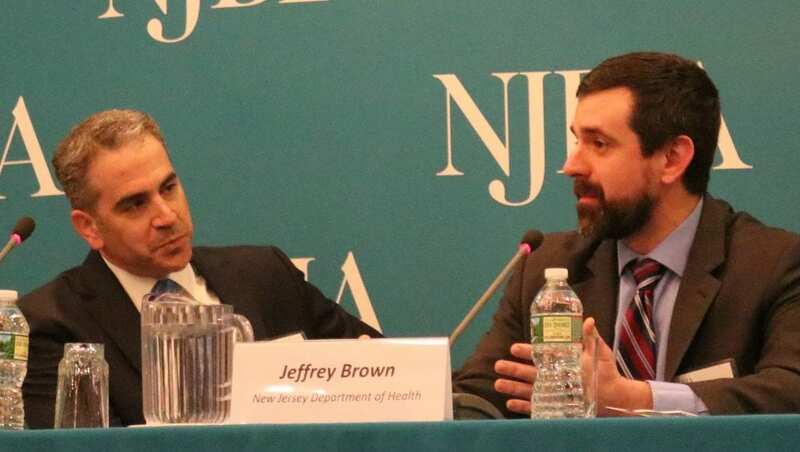 Speaking with Bill Caruso of Archer Law during one of three panel discussions, Brown wanted to look past marijuana sales’ economic possibilities, and focus on New Jersey’s potential as a center for research and development. According to Brown, only a handful of countries have areas where major research is being done. They are Israel, Germany and Holland. The fact that marijuana use is broadly tolerated in these countries means the barriers to research do not exist. It was an idea that NJBIA President and CEO Michele Siekerka found exciting, although NJBIA has not taken a position on the current cannabis bills in the Legislature. There is the matter of federal law, however. Marijuana is still illegal nationally, which can affect where research dollars will come from. Brown’s idea is to look for alternatives to federal funding. “We’re looking at ways to incentivize the industry to invest in research as well,” Brown said, noting it was part of the last request for applications for medical marijuana dispensaries. Potential benefits are impressive however. In Israel, he said researchers are studying senior autism and CBD (Cannabidiol). “We want to see that stuff happening here in New Jersey,” Brown said.